Hyundai Tucson Interior, Sat Nav, Dashboard | What Car? 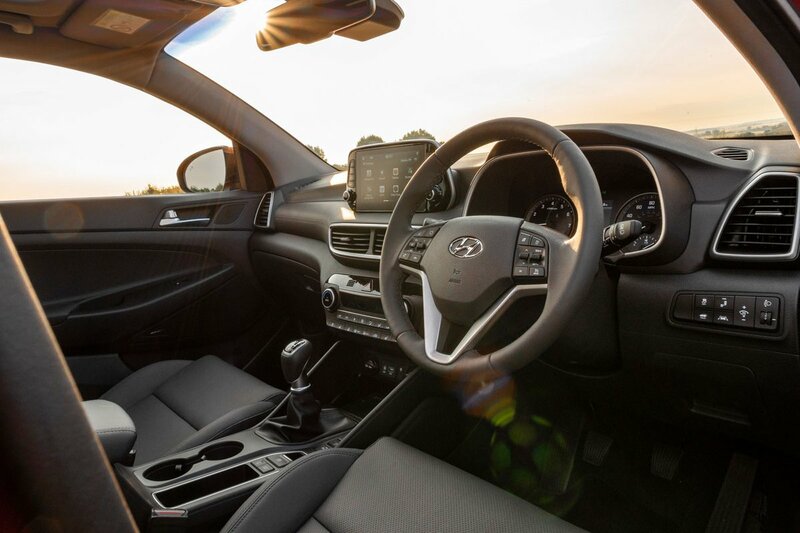 It's easy to get comfortable in the Tucson. There’s a wide range of seat adjustment and the steering column moves for both height and reach, so it's not hard to find your optimum driving position. The seats are soft yet just about supportive enough to avoid inducing backache on longer trips, so few should have any gripes. Driver's seat height adjustment is standard across the range, as is a front armrest. If you move up to SE Nav trim, you get electric lumbar adjustment as standard for the driver, too, that further improves comfort. 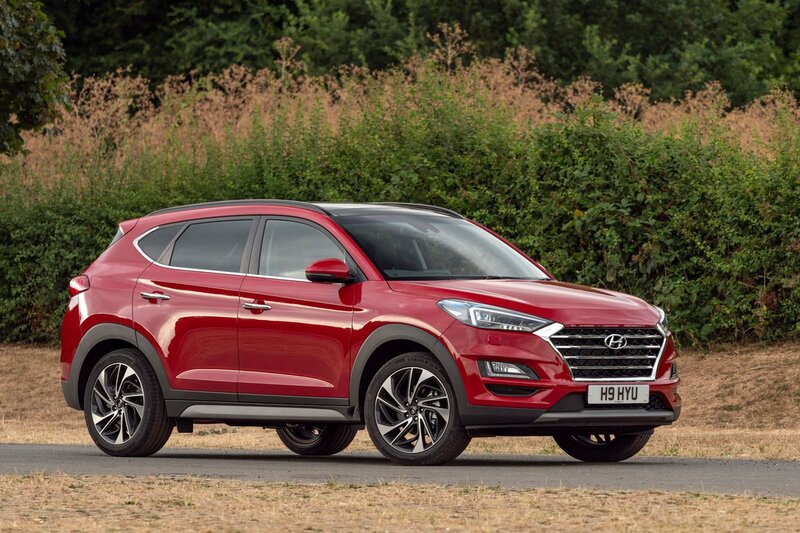 Boosting the Tucson's ease of use are its sensibly placed and easily interpreted controls. Forward visibility is decent by class standards. Your view out of the side windows is generally good, too, although the front pillars can obscure your view at junctions. In the rear, the rising window line means shorter rear passengers don’t enjoy a great view. Entry-level S Connect versions get a reversing camera as standard, while SE Nav comes with rear parking sensors and Premium adds front parking sensors to that. If you splash out on a top-spec Premium SE model, you'll also get a parking assistance system that aids parallel and bay parking. Even entry-level S Connect trim gets a 7.0in touchscreen infotainment system with Bluetooth, a USB socket and a DAB radio, as well as Apple CarPlay and Android Auto smartphone mirroring. This prevents the cheapest versions of the Tucson from feeling too basic. We’ve only tried the bigger 8.0in touchscreen that you get with SE Nav models or above. It's quick to respond to presses and easy to use. Wheel-mounted audio and phone controls are standard across the range. 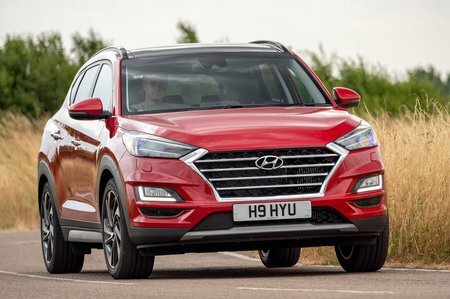 The Tucson is solidly and precisely built, but its interior is let down by the presence of too many hard and unappealing materials. The dashboard, for example, is mostly made of solid, unyielding grey plastic. Lots of plastics lower down in the interior are easily marked, too – this isn't ideal for those intending to use the car as a family vehicle. Higher-spec versions look and feel more upmarket inside, but rivals such as the Nissan Qashqai and Seat Ateca are still much classier.